"You have witchcraft on your lips." -Shakespeare, Henry V.
Ah, the Lips...that spellbinding curve of a smile. While we can't wave a magic wand for whatever we want, here at SKIN the Spa and Runnels Center, we have some helpful tips on how to keep your lips colorful and kissably soft, as well as lip enhancing procedures in time for Valentine's, or any day of the year. "I like to use a mixture of ¼ teaspoon of coconut oil and ½ teaspoon of granulated sugar. Combine, then massage it on lips in small, circular motion for about 3-5 minutes, 2-3 times a week. Also, keep your lips smooth and hydrated by applying a good lip balm every night before you go to bed for a week leading up to a big event." Aileen suggests the GrandeLip peptide lip treatment, available at SKIN the Spa. It helps to stimulate natural collagen to plump lips and lasts for hours. Apply it after a scrub for best results. Add Contour with a Liner: Using a darker lip line, over-line your lips slightly. Don’t go overboard, just follow your natural lip line. Use any color, as long as the lip liner is darker than the lipstick you will apply. 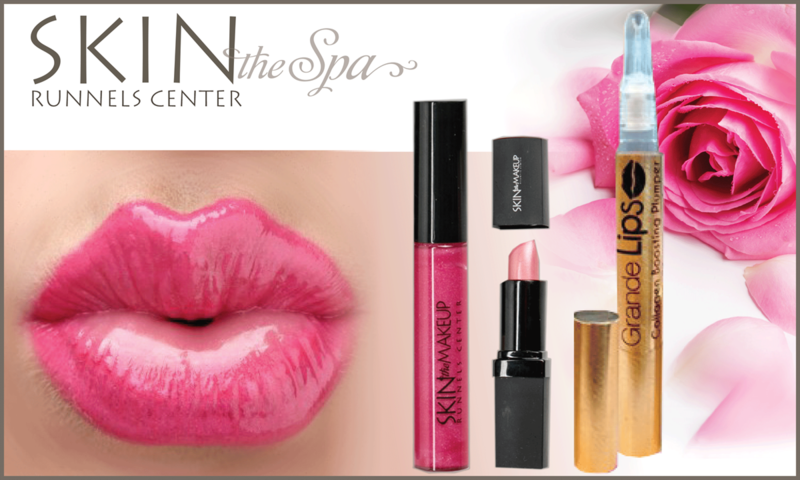 We offer a great selection lip colors from our exclusive cosmetics line, SKIN the Makeup, available only at SKIN the Spa. Add volume with Vertical Lines: Shade the natural creases with the liner to give the illusion of fuller lips. Try it. It really works! Add color with Tint and Lipstick: A lip tint will essentially “stain” your lips. Follow with lipstick. Using a color that’s lighter than the lip liner, blend in the contour. Remember, some lipstick is better than others so be sure you go with a quality product. We pride ourselves in using only the very highest standards of pigments and ingredients in our exclusive cosmetics. Our products are also Paraben Free and Hypo-Allergenic. Add SHINE and a SEALER: A layer of gloss makes lips look even fuller. For a smooch-certified finish, hold a tissue over your lips and lightly dust translucent powder through the tissue. 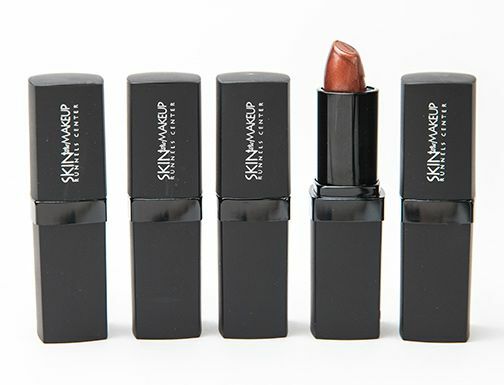 This sets your lip color the same way it sets your makeup when you use it on your face.